Sputnik has spoken with the Japanese ambassador to Russia about the development of bilateral ties. 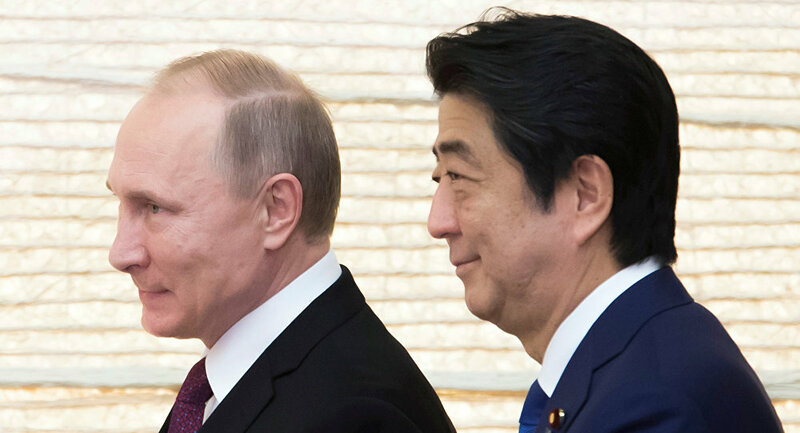 MOSCOW (Sputnik) — Japanese Prime Minister Shinzo Abe meets with Russian President Vladimir Putin more frequently than with the leaders of other countries, according to Ambassador in Moscow Toyohisa Kozuki. "Recently, on the sidelines of the APEC summit in Vietnam, the leaders of the two countries held what was already their twentieth meeting. We can say that our prime minister meets with the Russian president more often than with all other heads of state," Kozuki said. He recalled that Putin and Abe had agreed to develop the relations between the two countries in all spheres, including the economy, security, culture, as well as to solve the problem of concluding a peace treaty between the two countries. According to the ambassador, Russian-Japanese relations are actively developing amid a good personal relationship between Abe and Putin. The envoy's stataments come a day after Abe confirmed that he and Putin were determined to gradually move toward signing a peace treaty with Russia. Russian-Japanese relations have long been complicated by the fact that the two nations have never signed a permanent peace treaty after the end of World War II. No deal was reached due to a disagreement over a group of four islands claimed by both countries — Iturup, Kunashir, Shikotan and Habomai, collectively referred to as the southern Kuril Islands by Russia. The states have been steadily moving toward the signing of the peace treaty since December 2016, when an agreement on joint economic activities on the Southern Kuril Islands had been reached between Tokyo and Moscow during Putin's visit to Japan.